Apartment of 40 m² (2 rooms) on the ground floor in a quiet chalet, located above the center of the resort les coches (1 km by road). 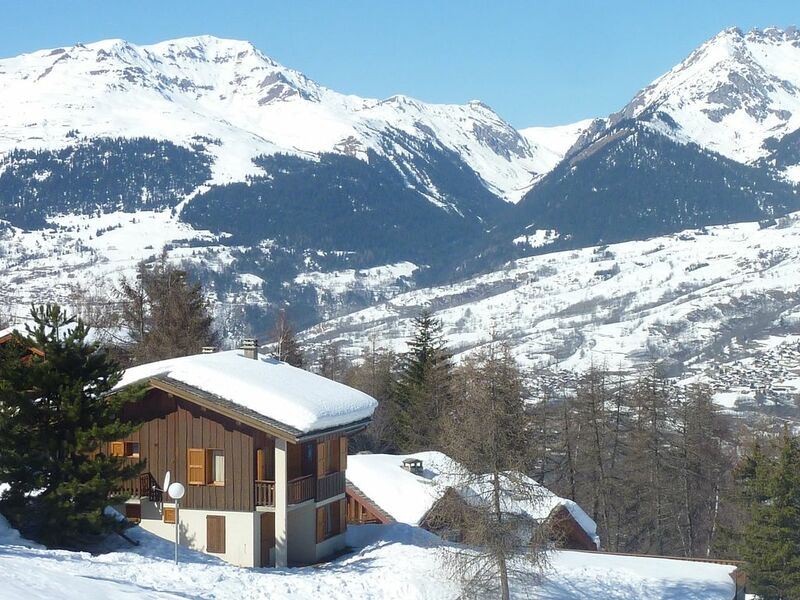 In the heart of Paradiski overlooking the valley and Mont Blanc. Very bright apartment, wc and independent bathroom, kitchen, garage, internet access and windows in all rooms. Access ski lifts and return to the ski-in ski-out apartment. Bon rapport qualité prix ,appartement propre ,bien situé ,au pied des pistes. La propriétaire nous a très bien renseigné avec beaucoup de gentillesse.